Organisers and police are hoping revellers will travel safely to and from festivities tonight. Photo: Supplied. Canberrans are expected to be out in force tonight to celebrate New Year’s Eve with organisers and police hoping revellers will travel safely to and from festivities and that arrangements will run smoothly. Below are details about parking, transport, what to bring, road closures, rubbish and more which will help you navigate New Year’s Eve in the city. 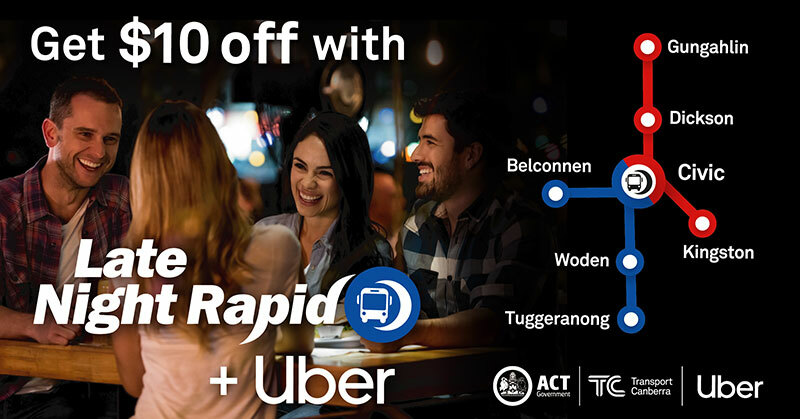 Canberrans will receive $10 off their Uber trip in conjunction with rides on Late Night Red and Blue Rapids. Image from Transport Canberra website. Canberrans can party till late and ride home safely with Transport Canberra’s Late Night Rapid Services running every 20 minutes up until 2 am. You can also take advantage of a $10 discount with Uber until 3 am, getting a lift straight home from your bus stop. Some conditions apply – please visit the Transport Canberra website for details. Public car parks will be open in the Canberra City area (pay parking applies) with the exception of the car park on the corner of London Circuit and Northbourne Avenue which will be closed from 2 pm (31 December 2018) – 2 am (1 January 2019) as it falls within the event’s road closures. Barrine Drive at Acton parking. If you are attending the festivities at Civic Square in the early evening, you are advised to bring water bottles and sun protection. You might also like to bring along your own chairs – but the area becomes crowded quickly and so you will need to come early to find a good spot. Picnics are welcome and so you can bring your own food but there will also be a variety of food and non-alcoholic beverage outlets on site. 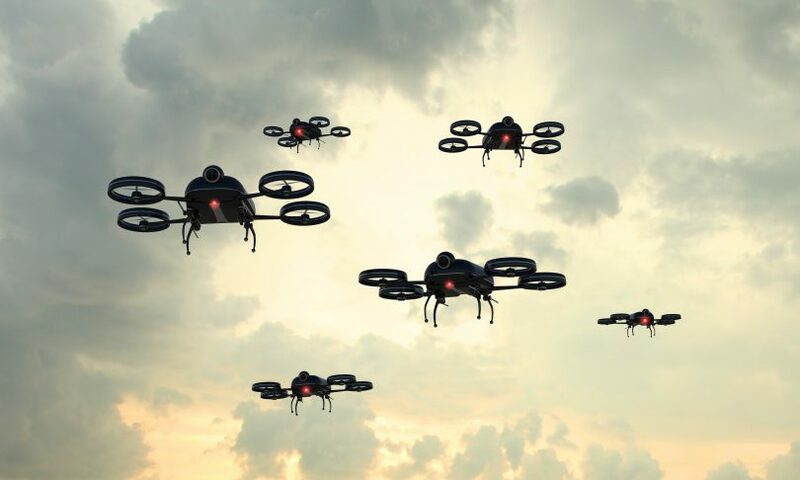 Civic Square will be a drone-free zone during the celebrations. Revellers are asked to help out the hardworking city cleaning staff by putting their rubbish in the bins provided and treating public places with respect. There are 48 large wheelie rubbish bins and 38 recycling bins located in the city centre and additional temporary bins will also be provided. Organisers expect that the bins will be filled during the night – amounting to more than 2,500 kilograms of rubbish to be collected. It’s anticipated that street sweepers and staff will also pick up another 600 kilograms of rubbish. ACT City Services Minister Chris Steel has asked Canberrans to spare a thought for the cleaners who will be working through the night and to think twice before adding to the overall mess. A number of temporary road closures will be in place in the City to allow for the New Year’s Eve celebrations to take place. For both the 9 pm and midnight fireworks displays, road closures will be in place 20 minutes before and 20 minutes after the show – this affects Constitution Avenue northbound and Northbourne Avenue southbound. Vernon Circle both northbound and southbound between Commonwealth Avenue and Northbourne Avenue. In addition, London Circuit between Northbourne Avenue and Akuna Street will be closed from 5 pm on Monday 31 December 2018 to 2 am on Tuesday 1 January 2019. For up-to-date information on road closures please call Access Canberra on 13 22 81 or visit tccs.act.gov.au. 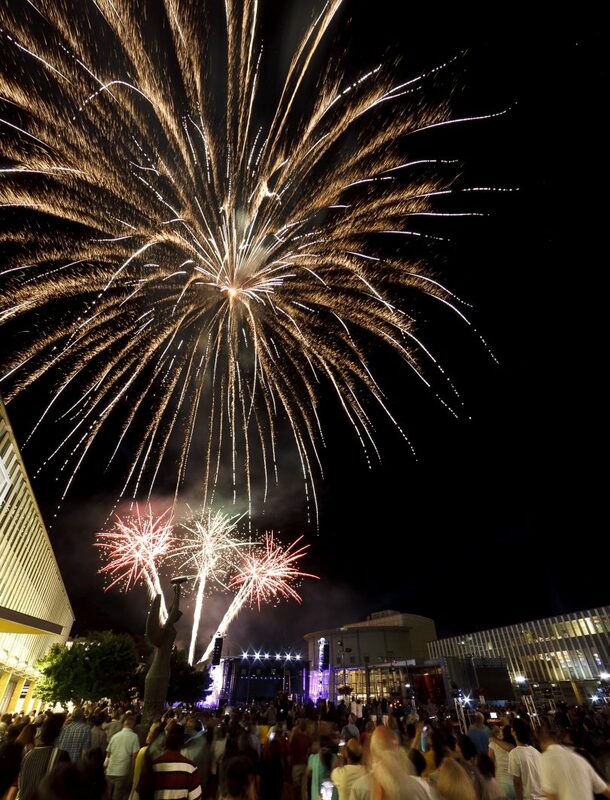 For further details about Canberra’s New Year’s Eve celebrations please visit events.act.gov.au/nye. Alternatives: 1. put last year’s fireworks footage on for the kids at 9 then go to bed as per usual. 2. Celebrate along with Samoa at 8.30 then go to bed as per usual.